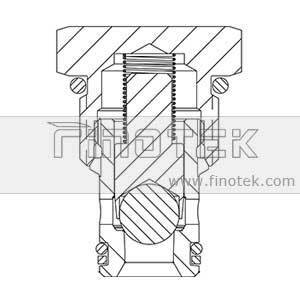 CV10-20 Hydraulic cartridge check valve is used for hydraulic system and power packs as a hydraulic component to protect the main device from backpressure or keep pressure for certain purpose. 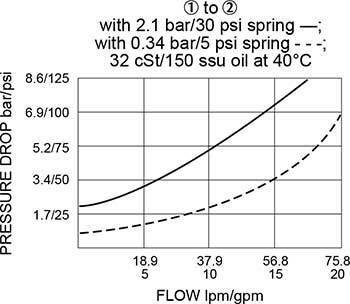 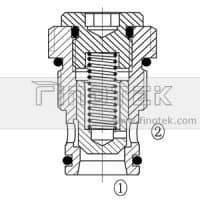 The sealing structure of hydraulic cartridge check valve is poppet type, which operation is more reliable than steel ball. 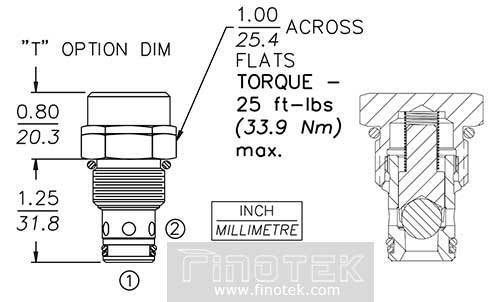 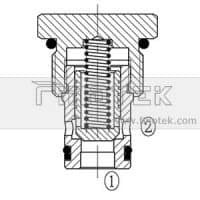 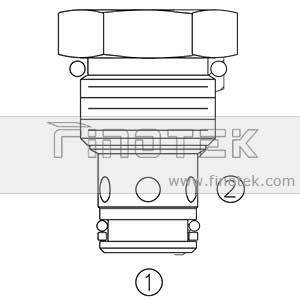 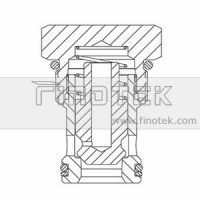 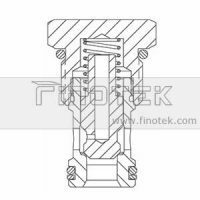 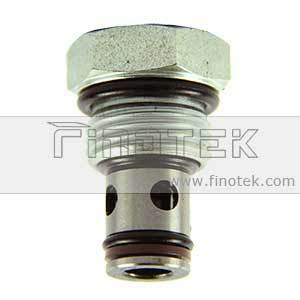 Finotek hydraulic cartridge check valve is two port: inlet port 1 and outlet port 2, the flow is allowed to squeeze into port 1 and out from port 2 to oil tank or other device mounted in the hydraulic line.